Did you have one and what were your favourite games? I loved this machine and still do. There are some amazing games on it. Some of my favourites are Pac Man, Space Invaders, Berzerk, Combat, Missile Command, Frogger, Mario Bros., Dig Dug and Defender. What were other people's favourites? I pulled this out of my mom's attic a few years ago and sold it on Ebay for a nice amount. JCWBobC. How did you put one of your pics on here? I would love to know. I love seeing Rewinders putting pics on of their actual possessions. I still have mine and my sisters from when we were kids. It is a Darth Vader version which is all black with no Wood grain. Scored another at an estate sale last year with 15 games or so for $12. 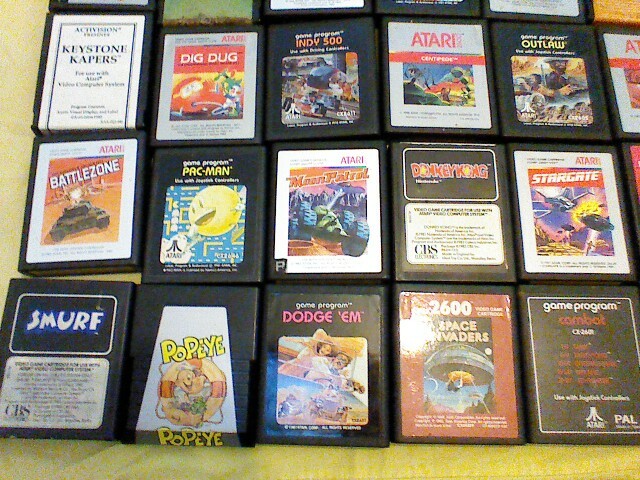 I've got an Atari 2600,it's the Jr version,the slimmed down one,I've got quite a few games and still play it a fair old bit. In the slot at the moment is enduro. When I get chance I'll list my games or take some photos of them. I don't know what my favorite games are,but phoenix,enduro,chopper command defender 2(Stargate) score pretty highly. Warrior. Phoenix was a fav of mine in the arcades. 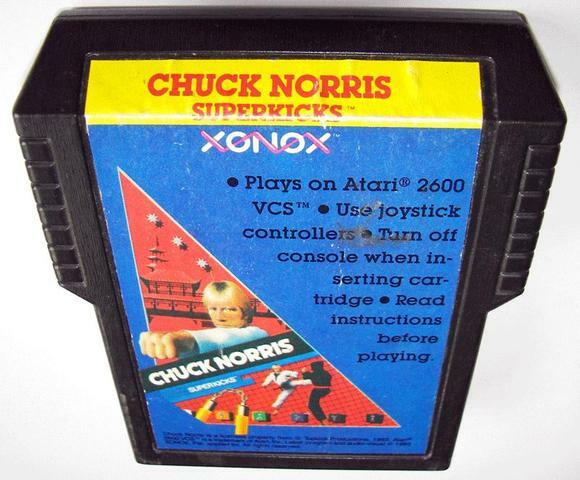 atari 2600 game - chuck norris superkicks. 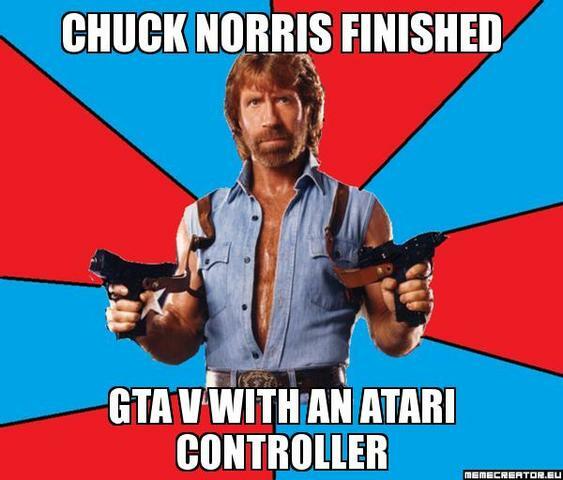 http://youtu.be/Uow0-0ox2RI - classic game room review of atari 2600's - chuck norris superkicks. i can't recollect this one at all,i'm not sure if this was widely available here in the uk or not? pheonix has always been one of my favourite shooters terdnthepoolggb. 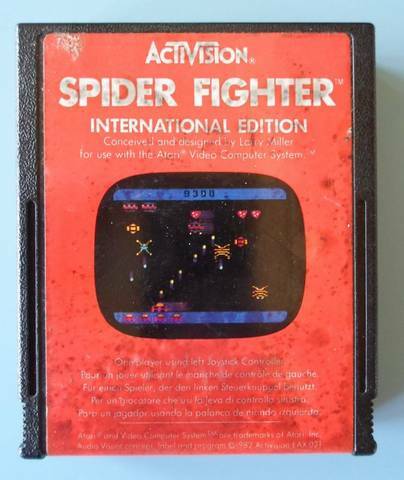 another underatted shooter i have on the atari 2600 is activision's - spider fighter - http://youtu.be/WDHTtq2sOwk. this is basically just like any other shooter it gets more & more intense with each level but this one goes seriously manic. it's a lot of fun but an absolute killer on the hands. 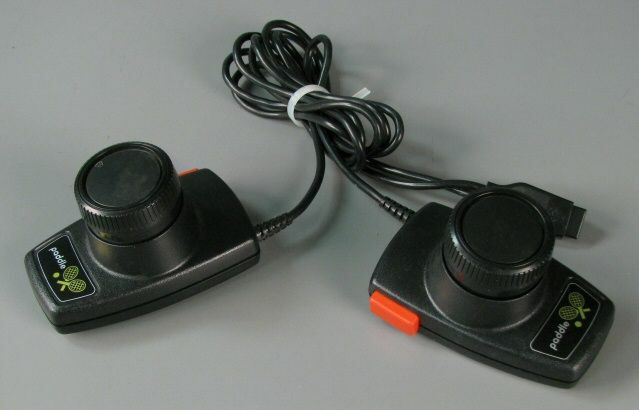 those old atari controllers were definitely not designed with comfort in mind! 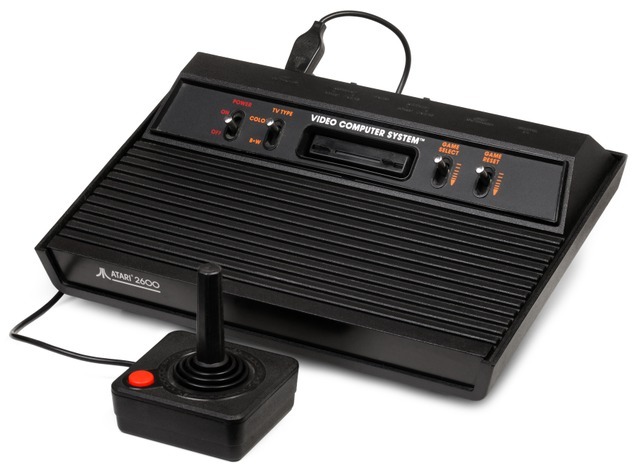 this is the same as the version of the atari 2600 that i currently own at the moment,it's the atari jr,it's a lot smaller and also a lot more modern looking in design than the older versions. this is the same as the version i previously owned,it was the all black 2600 in the style of the earlier wood finish versions,it just died on me one day forcing me to replace it with the jr 2600. Terdnthepoolggb ,so that's the Darth Vader version,you managed to pick one of these up plus about 15 games for just 12 dollars. Wow! Sometimes I have a browse on eBay to see if there's the odd title going I'm still after. Wouldn't mind picking up - frogger,freeway,river raid,pitfall 1&2,kangaroo,empire strikes back,kaboom!berserk,Jr pacman and activision's h.e.r.o at the moment. They done some really cool games on the 2600. From your pic jcwbobc I've got pacman,combat and vanguard. I would like a copy of demon attack,astroblast I can't recollect that one,I'll have to look that one up. i checked the site out Warrior. Pretty cool. What the heck is the game attack of meaty potatoes . I got mine in '83 or '84 when I was in first grade and amassed over 100 games! Even weird ones like "Kool-Aid Man." I could beat anyone in the neighborhood at any game back then. Fun memories! I love looking through old magazines. I have a comic that has the ad for KoolAidMan. Its pretty cool. 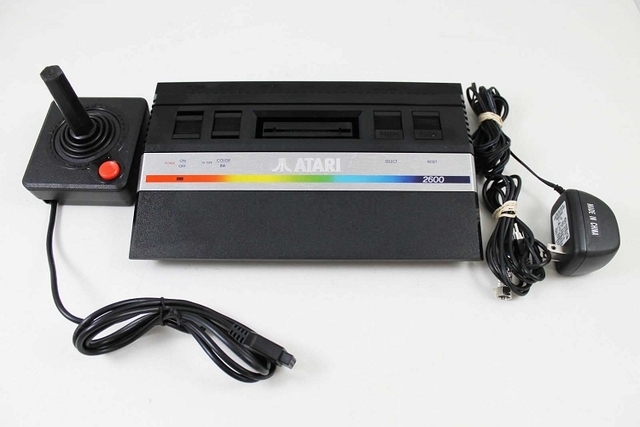 I reckon eBay for a power supply Paul,an original Atari one might cost a few Bob but you could always try your luck with a cheaper replica part,just be careful when choosing one if you do decide. I own a Atari Jr 2600 which came with an original power supply and that one heats up like mad,you'd dare not leave it plugged in and go out. I reckon I could come home to no home! Not sure what game that is terdnthepoolggb with the potatoes in it,but it sounds pretty bonkers to me. Just about everyone had one whether it whether it was the Atari or the Sears version. Market Saturation did it in. 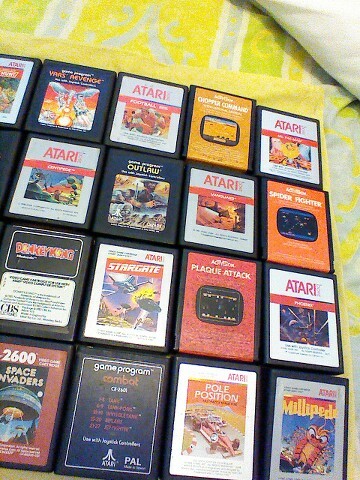 Here's a couple of not very good pics ( google nexus with front facing cam = awkward) of some of my Atari 2600 titles. 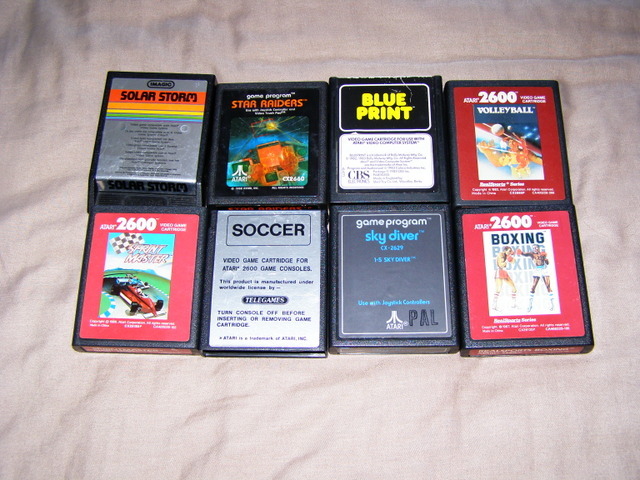 Picked up these Atari 2600 games over the last couple of visits to my town centre of canterbury,they were only 1 UK pound each with the exception of solar storm which was 5 pounds (must be pretty rare) and real sports boxing which was 3 pounds. Tried out a couple - real sports volleyball and real sports boxing which were both good fun,also blue print which has some really challenging and original gameplay. https://youtu.be/ZZr8pbHzcZM realsports volleyball game review. https://youtu.be/uLIuWP7DyqA - atari 2600 blue print gameplay video. https://youtu.be/f06QK9SwLxY - sky diver gameplay video. I'll have to count them up to see how many I have got now,from the last bunch I picked up a couple of them I can't yet play,you would think with the amount of games that I've picked up so far I would have got myself some paddle controllers. Need to pick up a set of these. Solar storm I wasn't aware is controlled by paddle controller's,I have the atari driving paddle controls but they are actually slightly different to the paddle controllers (above) that I need ,also the game star raiders that I picked up you need an additional touch pad control that Atari devised for the game,never mind I'll have to try and track one down as well. 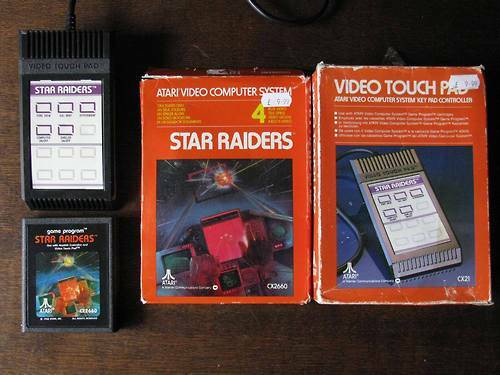 Also need to pick up one of these touchpad controllers to be able to play Star raiders . 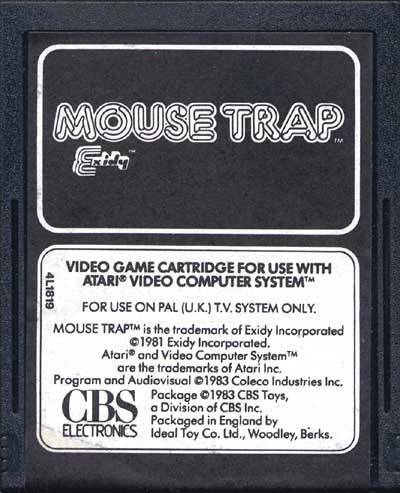 I picked up an Atari 2600 copy of mousetrap a little while back of eBay it was cartridge only minus the box for 2 UK pounds. 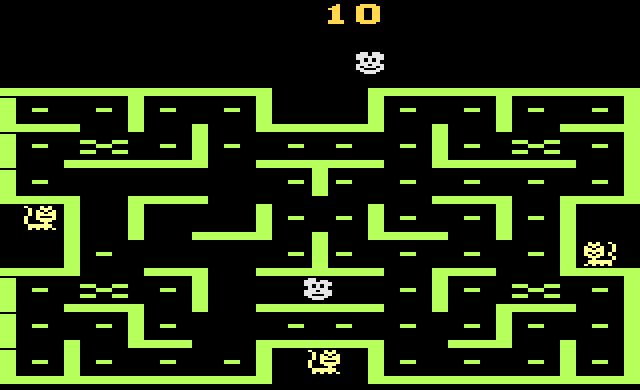 Pretty addictive game this one which may just look like a pacman clone but it's slightly different in the fact that at the touch of a button when you are near one of the dark green door's you can change the actual layout of the maze sometimes trapping the pursuing cats . This is a really fun game that you could easily spend a good few hours on the only downside for me is the cartridge I purchased is little bit glitchy even after cleaning the connectors on it so I reckon it needs another go. https://youtu.be/94Xvk_SP9QA - here's a helpful video of how to clean the connectors of an enclosed Atari cartridge,I've cleaned all my cartridges with some alcoholic cleaning solution i purchased and it ain't half made a big difference!